Discovering ”Space” through profound directions in the practice of Asana and Pranayama. In this experiential seminar you will have the opportunity to reach into and beyond the boundaries of your physical body under the enlighting guidance of Guru Shri Parveein Nair ji certified Iyengar Yoga teacher from Rishikesh. This workshop is an orientation to the space element (Akasha) as one of the most important of the 5 elements of Pancha Mahabhuta as described in the Yogic and Vedantic text. The entire cosmic creation takes its manifestation in Space. Space element (sometimes called ether) is the place where everything happens. In its most subtle form, it is the place before everything happens. The entire creation is supported by space. Our body is an expression of the cosmic creation in where space is the most essential ingredient in discovering freedom. As complex beings we are all looking for freedom from something or the other. If we can shift our mind from the objects in the foreground and look at the space in the background, this can assist us to discover our true nature as one of the elements of the universe. Guru Parveen Nair ji is a uniquely inspiring teacher. He is best known for his ability to help students and teachers embody a spiritual practice in Yoga. He has refined his methods of teaching in the Advaita Vedanta school of thought. His non-dualistic approach towards Yoga has allowed his students to build an authentic Yoga practice. Parveen’s passion for Iyengar yoga developed after he came across Guruji B.K.S. Iyengar’s most acclaimed yoga book, “The Light on Yoga“. He was drawn towards the emphasis in precision and alignment as well as the teachings of the Yoga Sutras. His years of practice and teaching reflect his commitment towards Yoga. 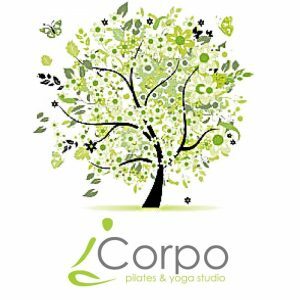 Parveen has spent many of his years studying under Karin O’Bannon a Senior Iyengar Yoga teacher and later in Pune under the guidance of Guru BKS Iyengar . 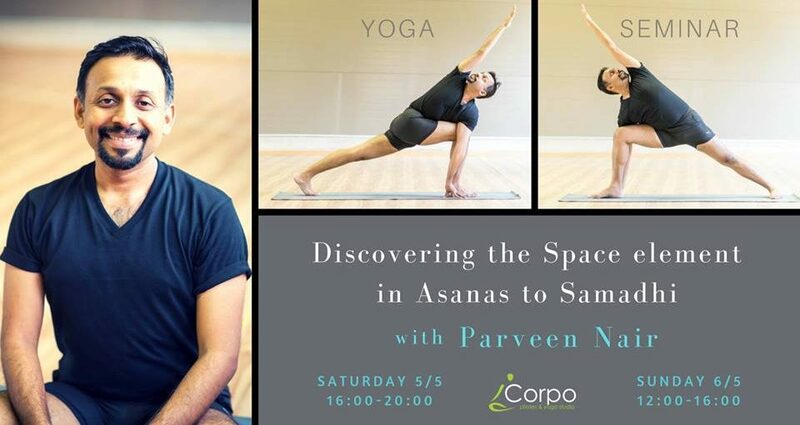 Later obtaining his certification in Iyengar yoga, Parveen founded Swarupa Iyengar Yoga Studio and Yoga Sadhana in Malaysia and had natured many to the path of Yoga. Parveen Nair is now teaching in Rishikesh the Yoga capital. His innate interest in Self-realisation has made him a devoted student of Advaita Vedanta philosophy. Parveen is inspired by the teachings of Sri Ramana Maharishi and Sri Nisargadatta Maharaja. Parveen takes a simple, direct and sublime approach towards yoga. As he would say, change in action is not spirituality but change in attitude is. All classes are suitable for all levels. Reserving your spot is necessary. Reservations are registered after payment. Certificate of attendance will be given. Γειά σου Στέλλα! Δώσε μας ενα τηλέφωνο να επικοινωνήσουμε μαζι σου. Ευχαριστούμε.